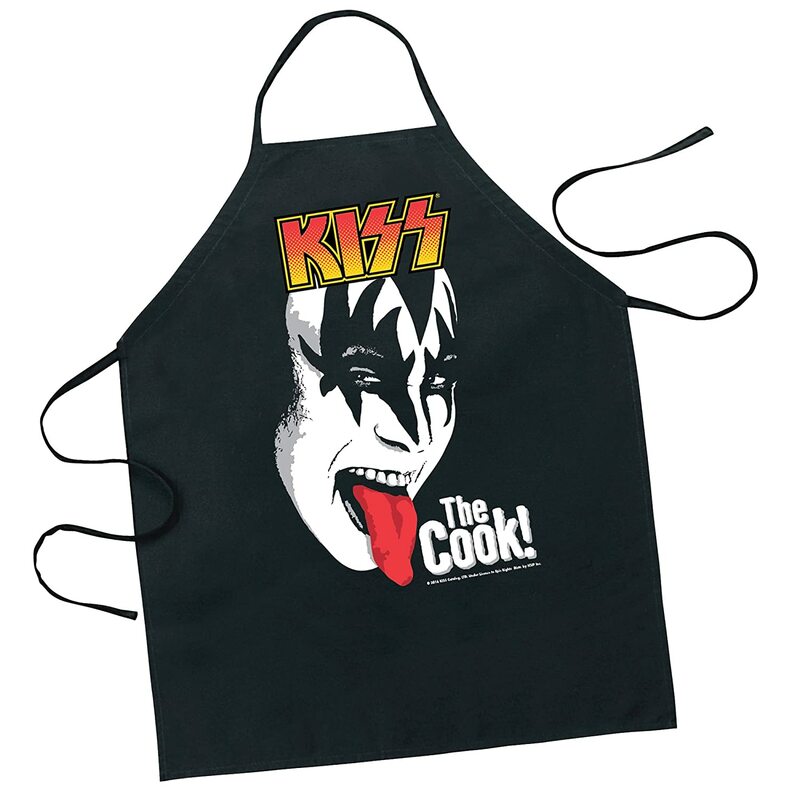 PERFECT for all BBQ cooking enthusiasts and budding grill chefs! BUY NOW as you WON'T FIND THESE men's novelty aprons on the HIGH STREET! 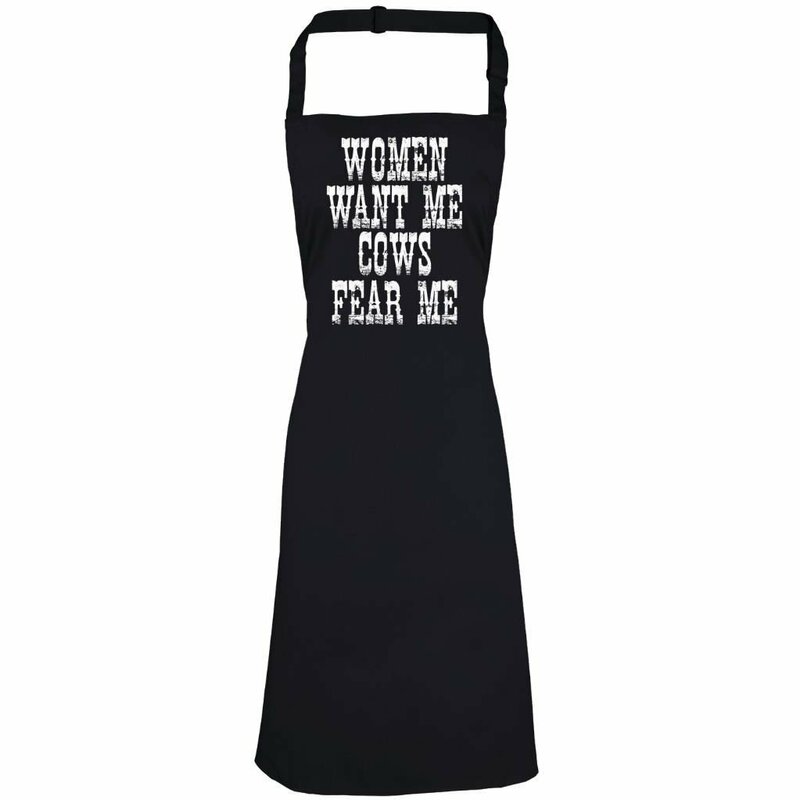 The Funny BBQ Apron Women Want Me Cows Fear Me is one of our classic printed slogan novelty aprons that will not only keep the food off the old fellas best shirt, it will also put a smile on everyone's face at any bbq party! 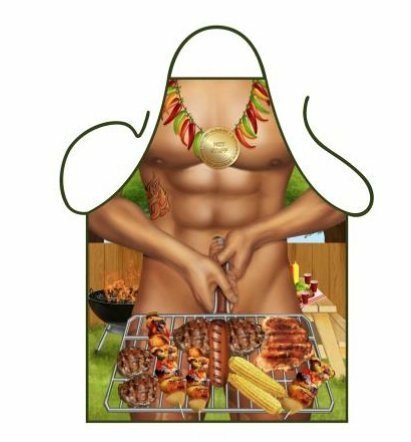 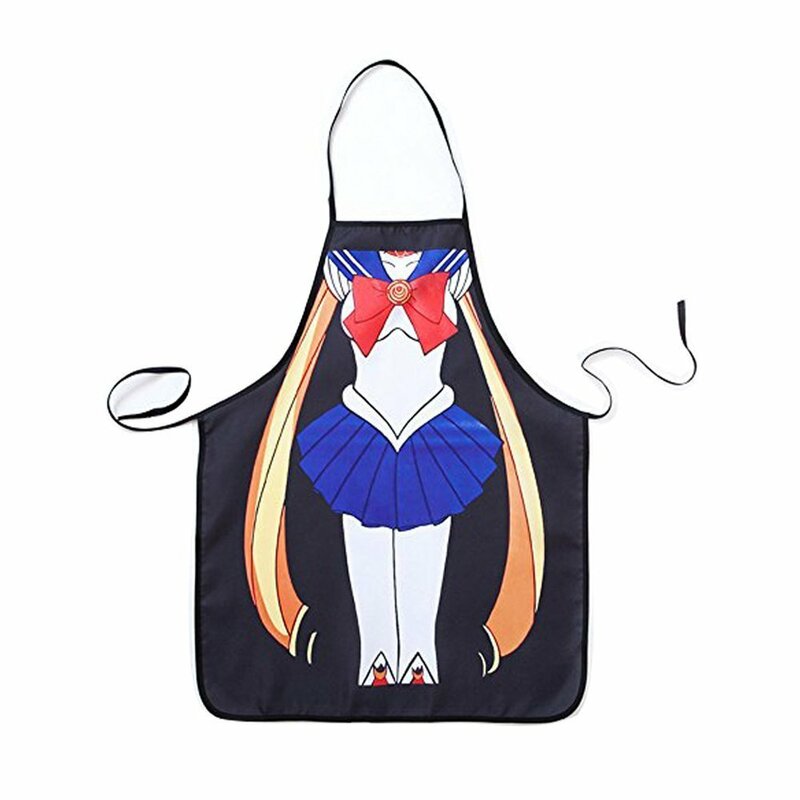 If you are looking for novelty cooking gifts for men for Father's Day, Birthday, Christmas or just a treat for the first BBQ party of the summer, you can't go wrong with one of these novelty bbq aprons. 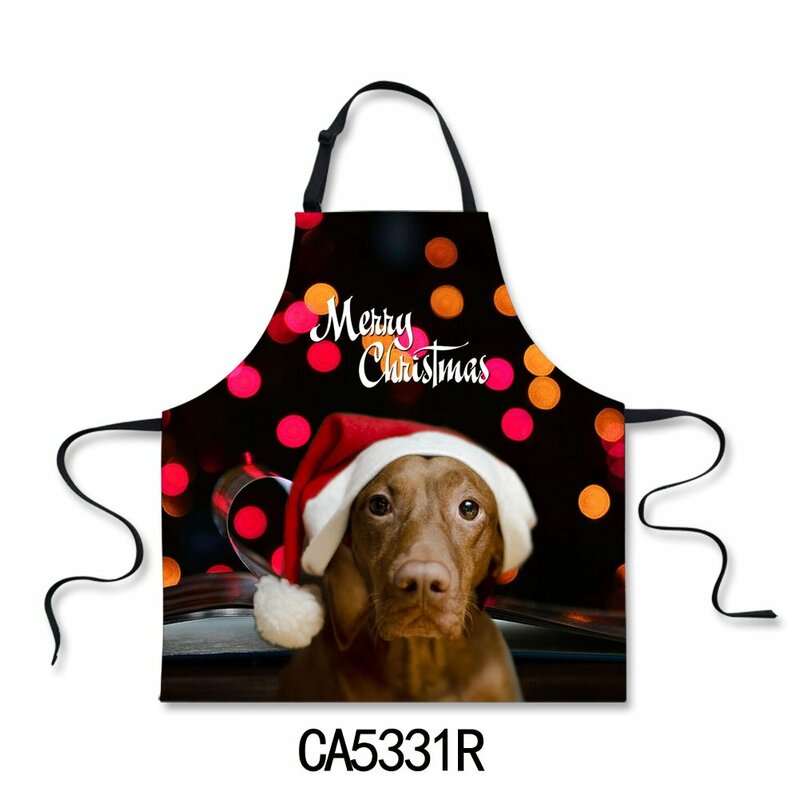 The cooking apron can be worn either as a funny bbq apron when he's the master of the flaming grill or in the kitchen if the old fella is tackling the Sunday roast. 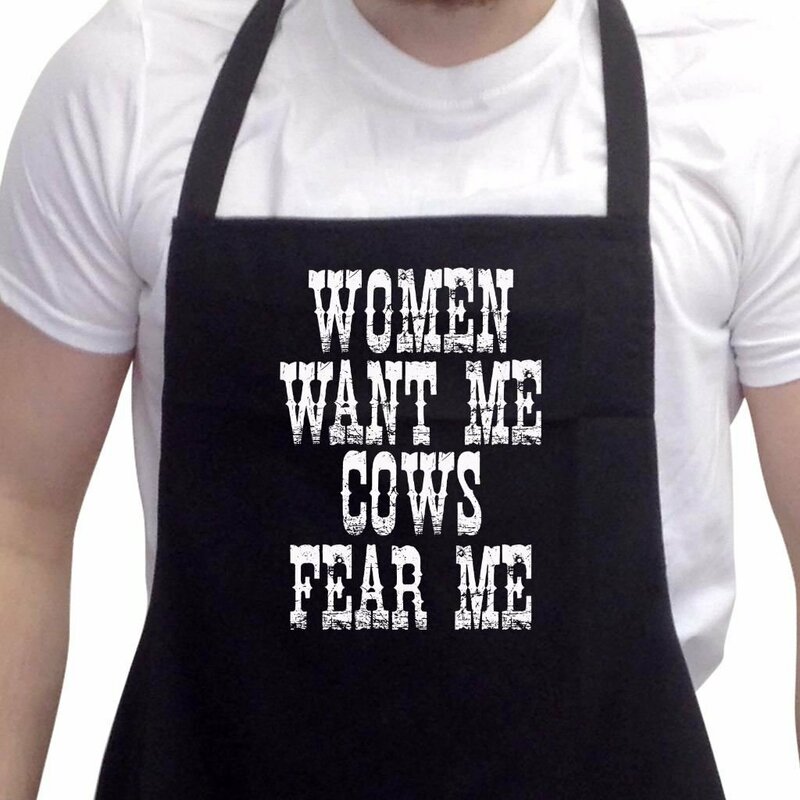 This funny Women Want Me Cows Fear Me bbq apron will keep the meat juices, charcoal stains and barbecue sauce off his clothing, keeping him clean and composed at the helm. 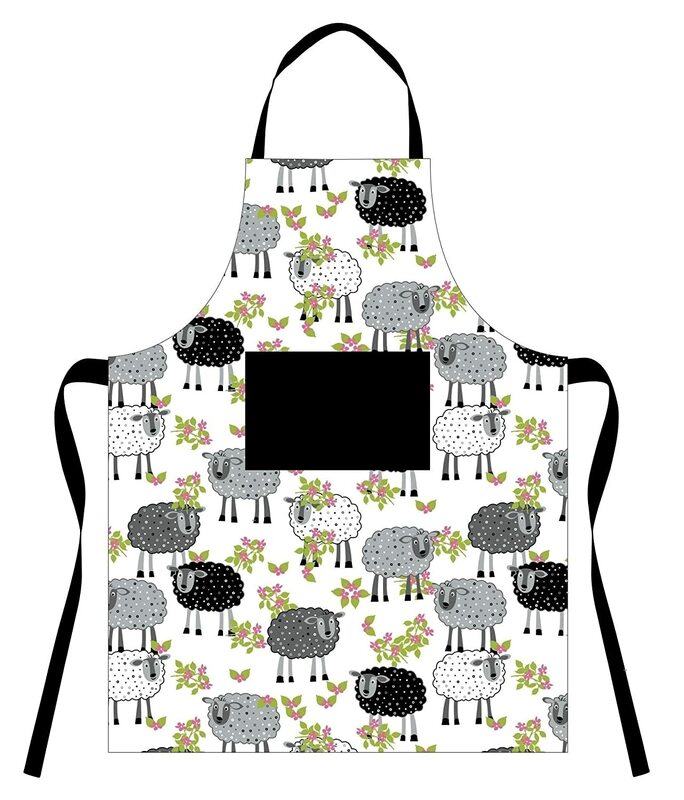 Our novelty aprons are versatile and can be worn all year round, ideal for cooking inside or out. 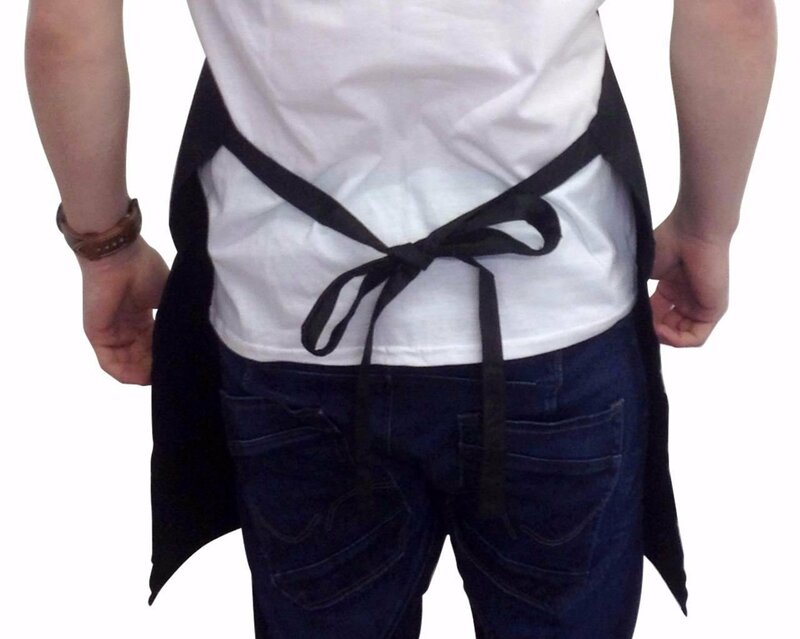 The men's black novelty bbq aprons are one size fits all, 78cm" full length with self-fabric ties and a self-fabric tie neck. 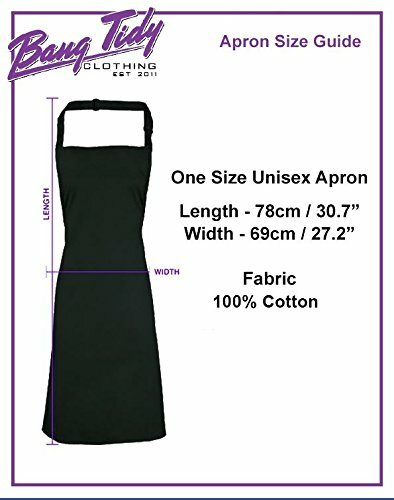 80% polyester/20% Cotton. 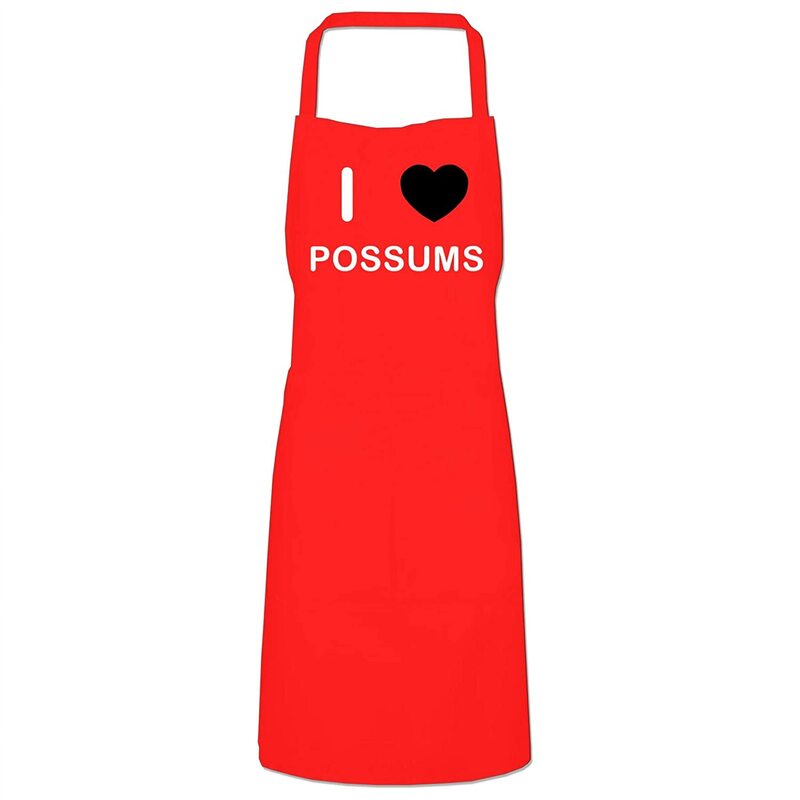 So if you are looking for a unique fun gift for your dad, boyfriend, husband, brother, mate or yourself, our bbq aprons are just the job. 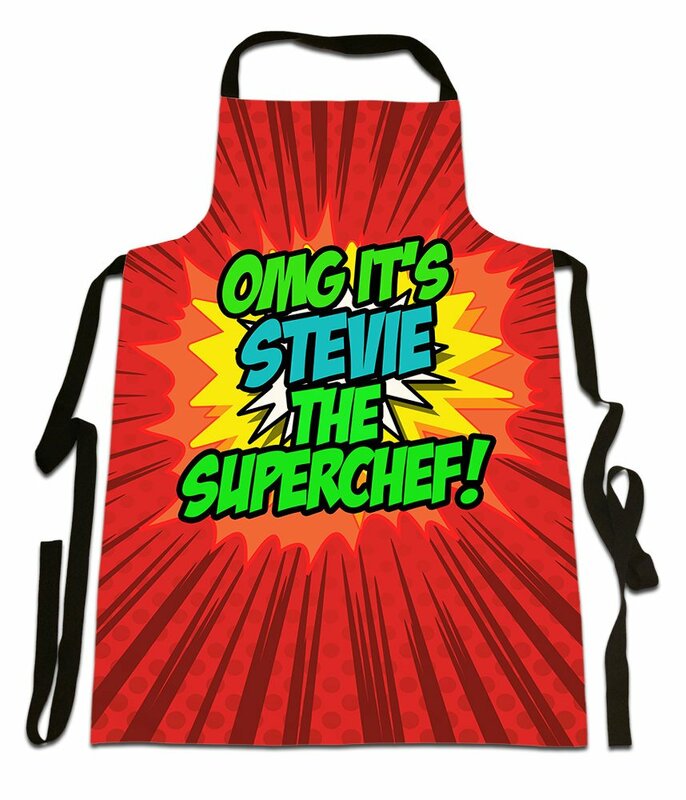 Check out our full range of awesome aprons on Amazon! 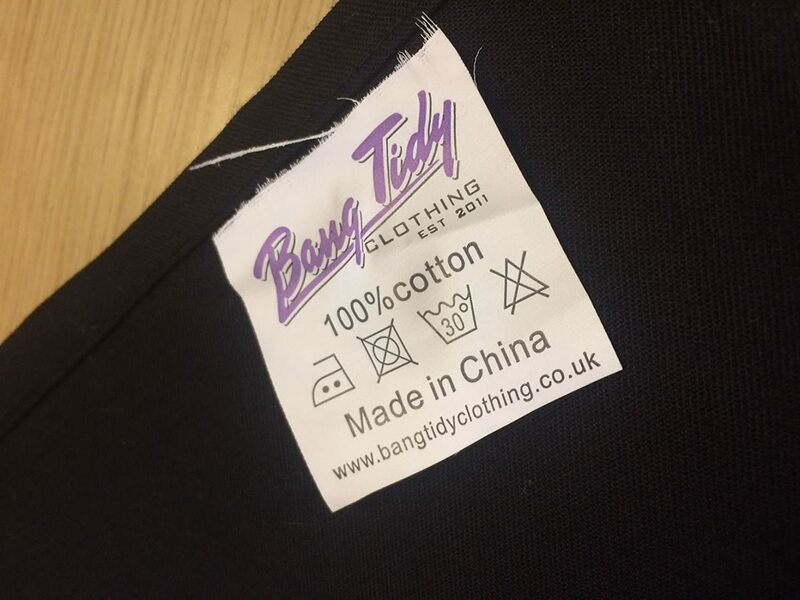 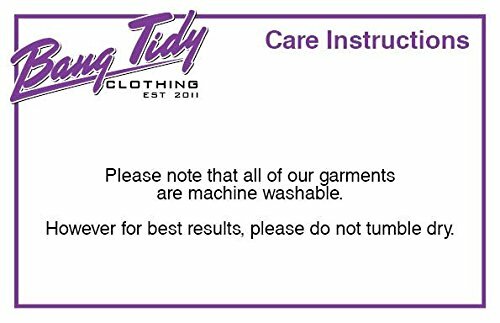 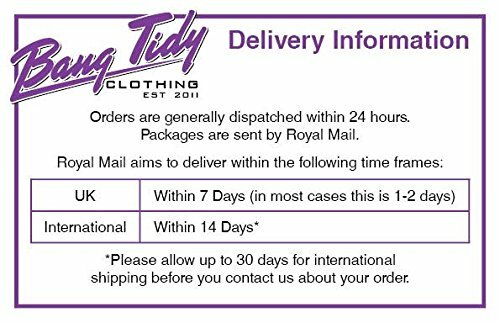 All designs are copyright of Bang Tidy Clothing Ltd. Bang Tidy Clothing® is a registered trade mark.